Making your work more efficient and productive, our 2016 Ford F-150 XL SuperCrew 4X4 looks sharp in White Platinum Tri-Coat! Powered by a TurboCharged 2.7 Liter EcoBoost V6 that generates 325hp while tethered to a durable 6 Speed Automatic transmission with Sport and Tow/Haul modes. 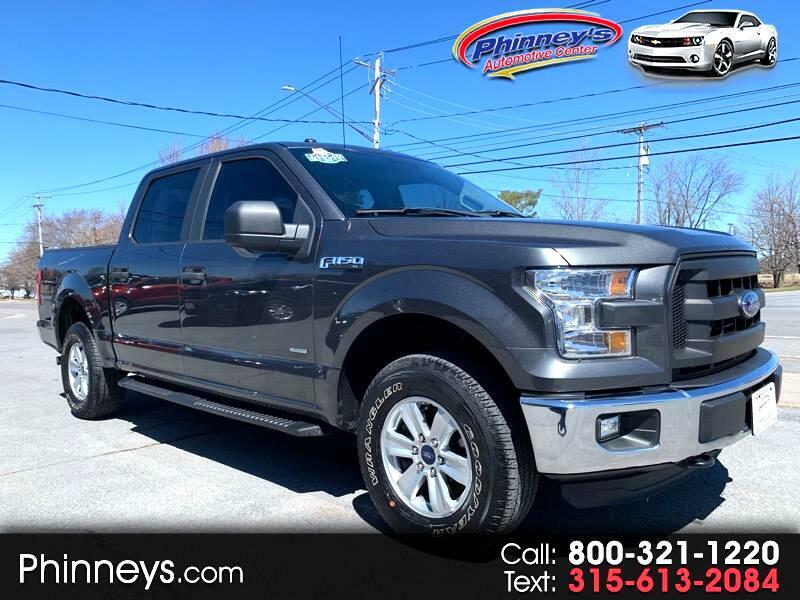 Dominate the road with this Four Wheel Drive that offers incredible towing and payload capacity all while scoring near 26mpg on the highway forging a new path with its modern and aerodynamic design. Drive with confidence knowing this is a lean muscular machine from Ford with a high-strength military grade aluminum-alloy body and high-strength steel frame plus anti-lock disc brakes, stability and traction control, trailer sway control, front-seat side impact airbags, and full-length side curtain airbags to help you avoid and manage challenging driving situations. Tried and true, this reliable truck is an incredible choice! Get behind the wheel of our F-150 today! Print this page and call us Now... We Know You Will Enjoy Your Test Drive Towards Ownership!